Product code: 786 Categories: Sold Items, Sold Jewellery. 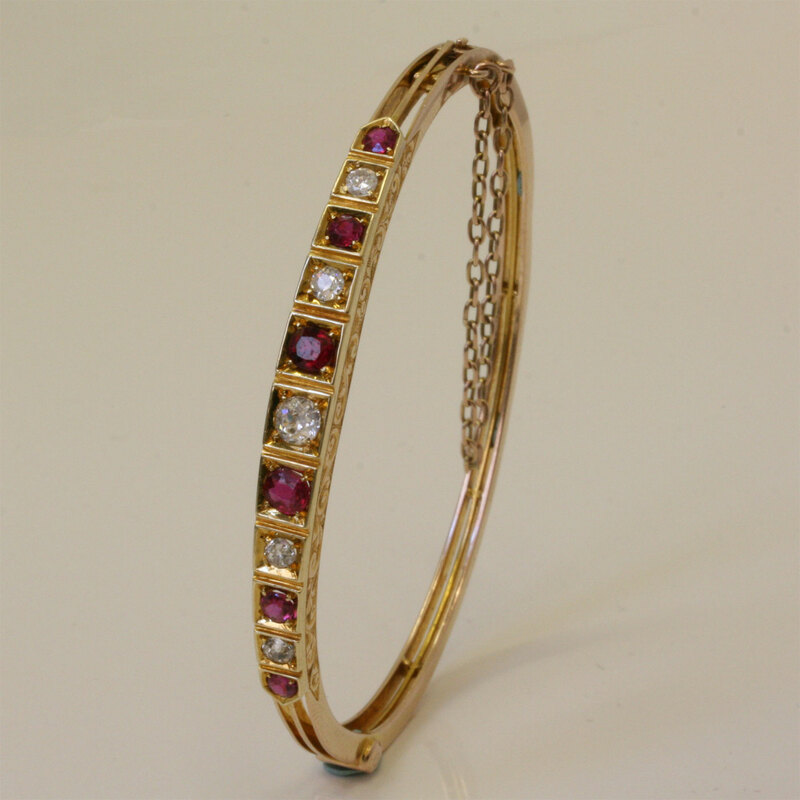 Ruby bangles are so difficult to find, and this particualr one is just exceptional. Made in 15ct gold and dating from the early 1900’s, it is set with 6 graduating sized natural rubies and 5 diamonds that also graduate in size. The weight of the rubies total 1.02 carats and the diamonds 0.61 carats. Being hinged, it sits perfectly on the wrist and can so easily be worn on a daily basis or evenings for that special occasion. 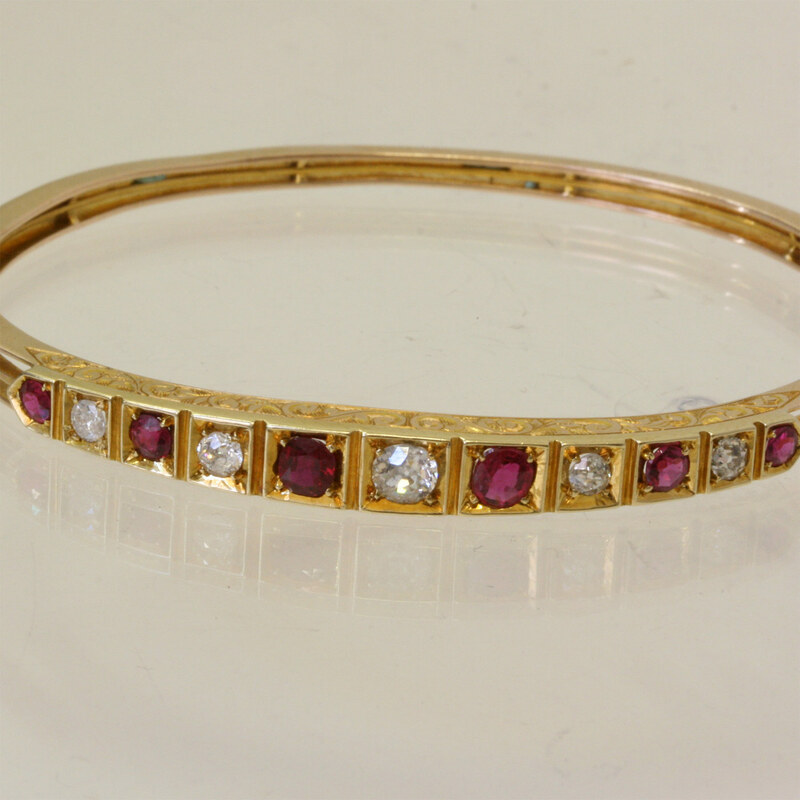 This antique ruby and diamond bangle is just elegant in every way, and will delight the wearer every time it is worn.